Is it summer yet? According to the calender, no. BUT if sure feels like it. 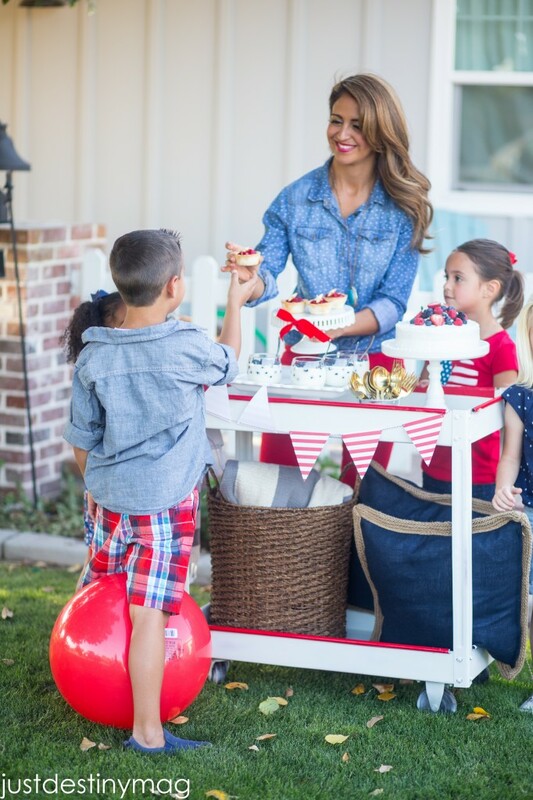 If your into all things patriotic then your’re going to love this beautiful outdoor party shot at the homeowners of Rafterhouse here in Phoenix and put together by me and a talented team of bloggers! 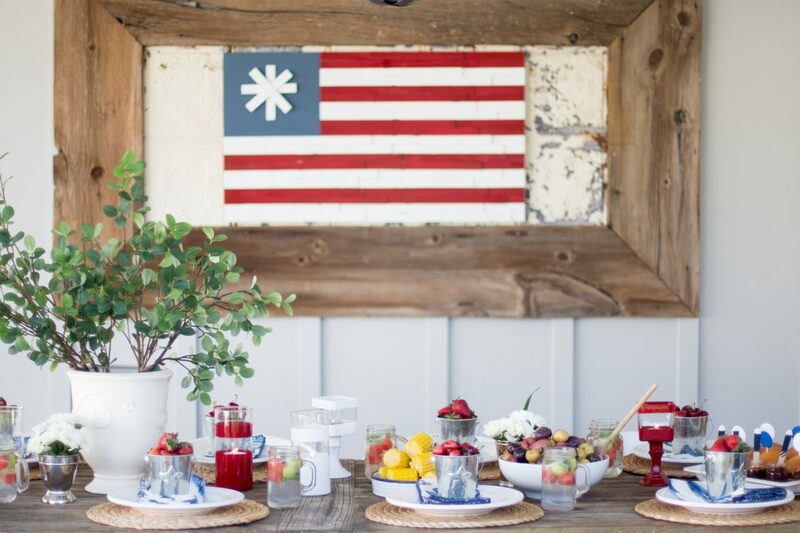 It was a wonderful setting for an All-American get together! 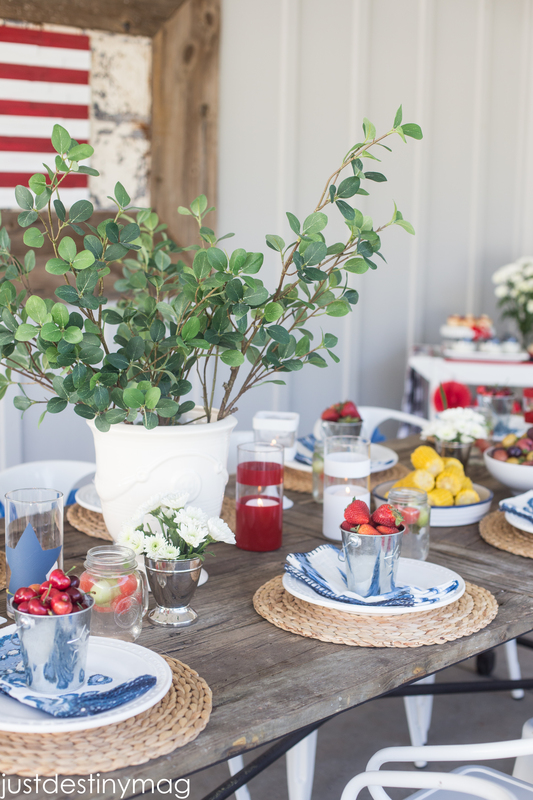 To get the party started, use a color scheme of navy, reds and whites. 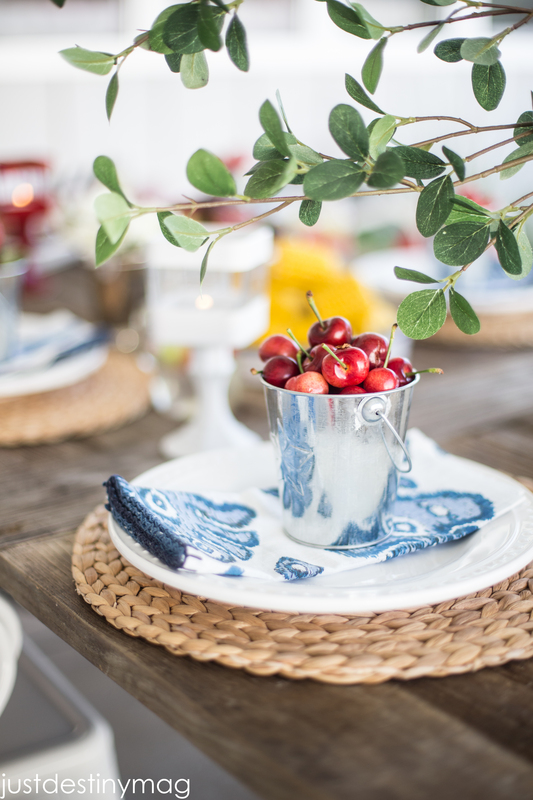 I used these adorable ikat napkins for the blue and paired them with a classic white plate with a natural seagrass charger. 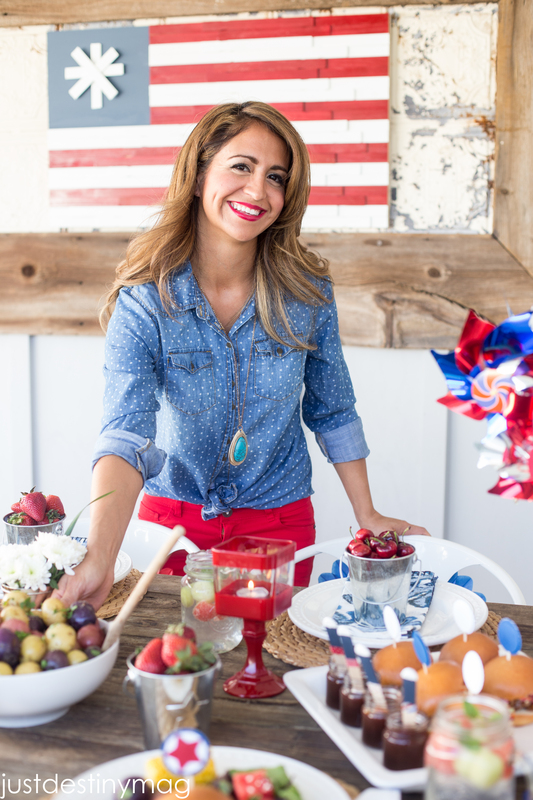 If your budget doesn’t allow for an all new tablescape make sure you grab what you have around the house! 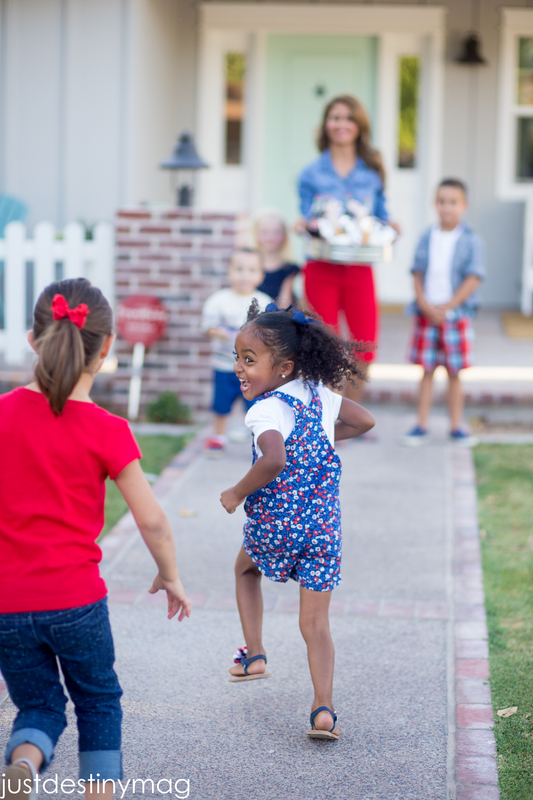 You’ll be surprised of how patriotic you really are! 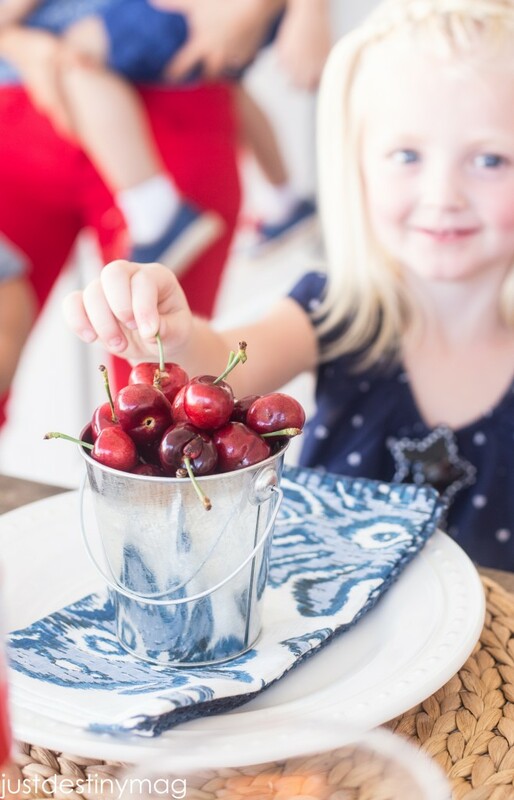 Topped with a bucket of cherries, these table settings are a simple way to tie in the color scheme. No party is complete with out a delicious menu. 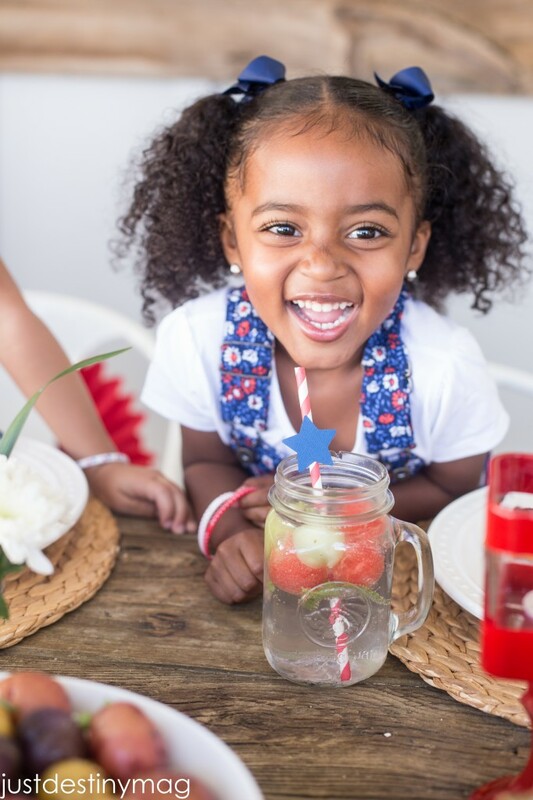 BBQ sandwiches, watermelon salad and corn on the cob are just some of the recipes that make up this adult and kid-friendly menu. 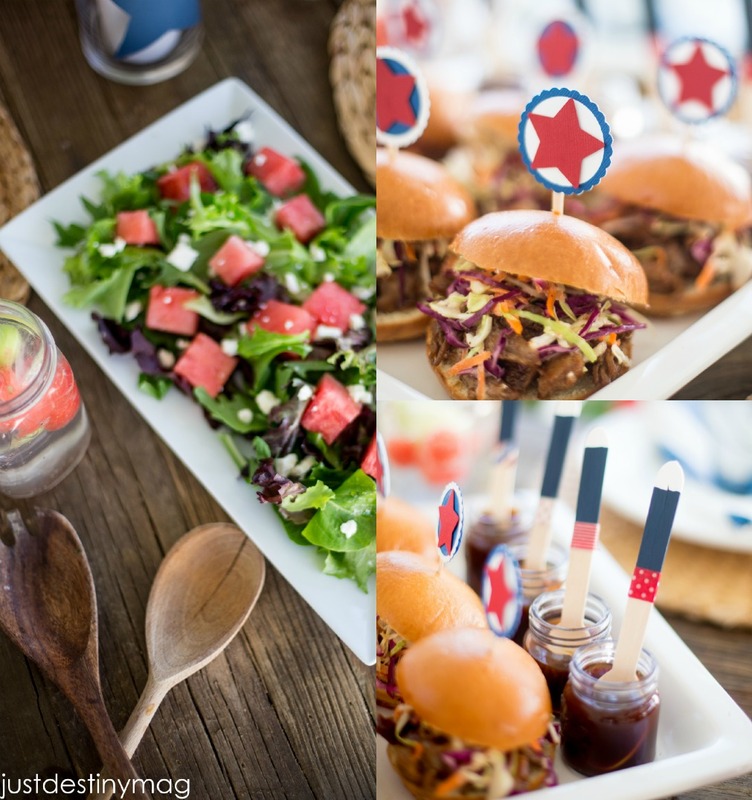 The talented BakedbyJoanna put together and amazing spread! 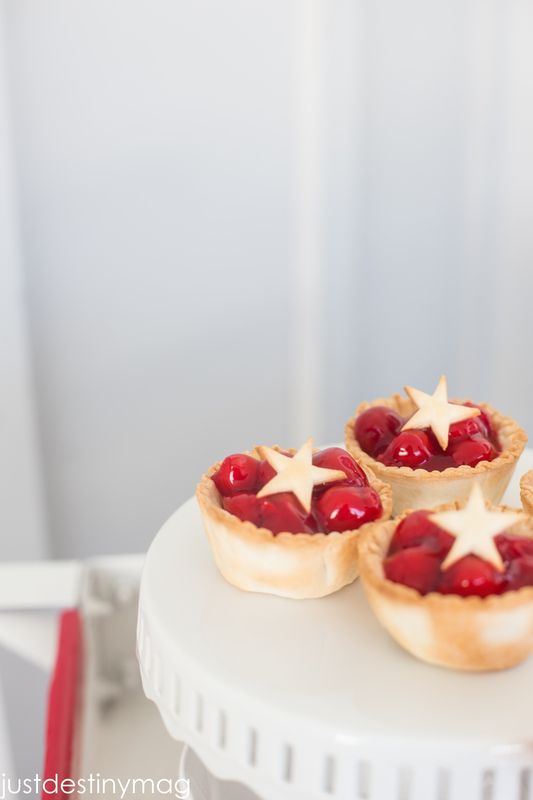 Including the classic Cherry pie in a bite size portion! 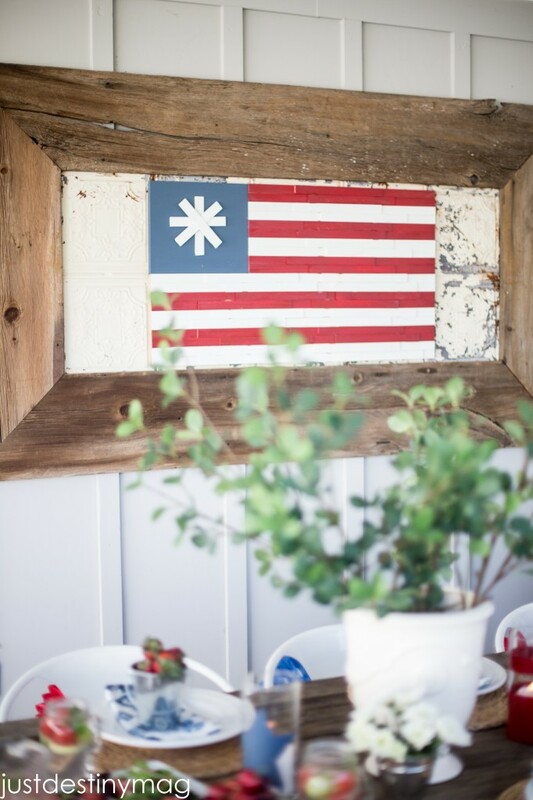 For a the most Americana atmosphere, get out your tools and make this rustic American flag for your mantel or backyard decor. Dream Book Design makes this flag with the most unexpected materials!!!! Your’re gonna love it! 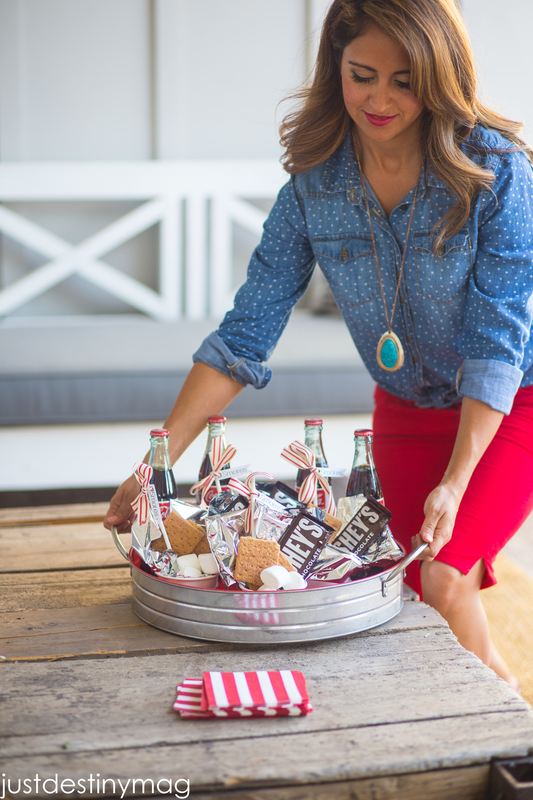 Entertain your guest by loading up all your sweets on this bar cart all dressed up with and adorable banner from A Night Owl! 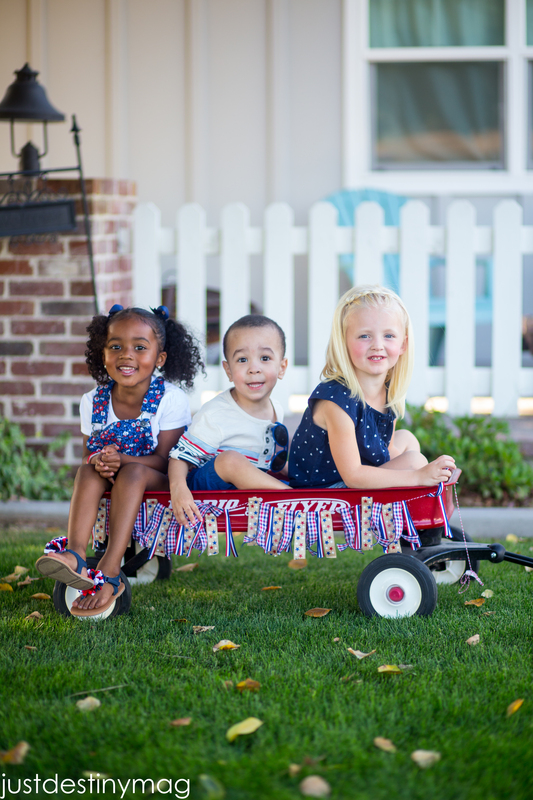 Add some blankets and pillows underneath for watching those fireworks under the stars! For more about the location and projects in this shoot look at the links below! Make sure you check back often for sources and more details about this shoot this month! Beautiful job! 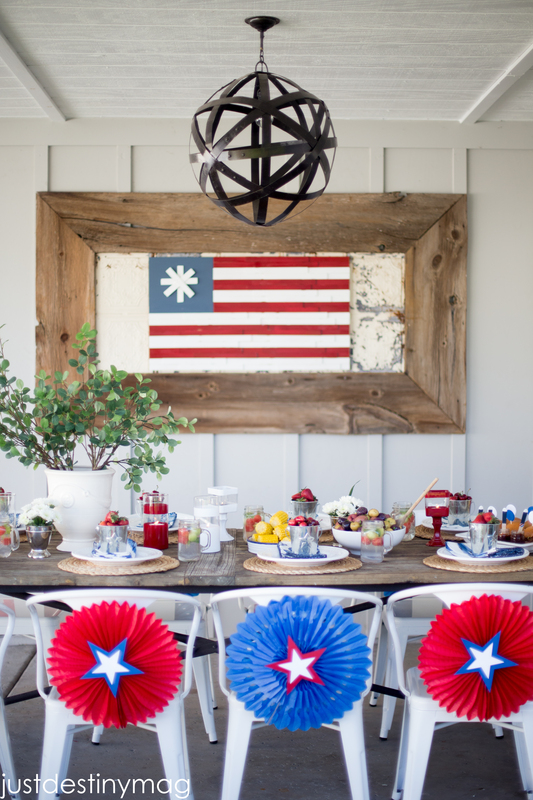 Everything is just so pretty, and I love a good patriotic party! The food looks delish! 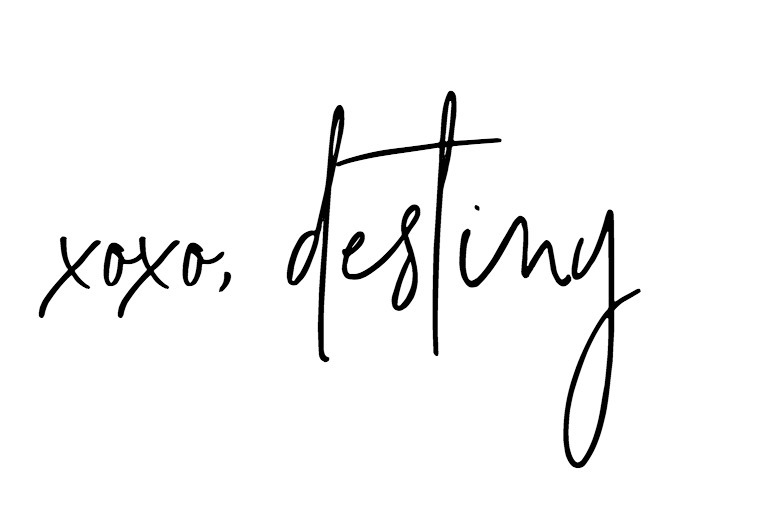 Just beautiful, Destiny! Everything looks amazing. You are so talented.